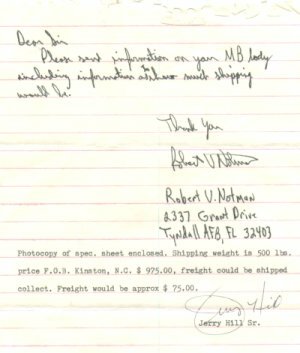 I wrote to White Owl Parts about the MB jeep body they offered for sale. It was the company closest to my location so I figured I would save some bucks in shipping. Hard to believe that body cost me less than $1000 plus shipping. Of course, I have spent money to add in the Ford toolbox indents and locks. And this year with the expert help of a friend of mine I was able to add the word “Ford” to the back of my jeep.